The global refugee crisis impacts families and individuals across the earth whose lives have been upended by violence, war, and persecution. Despite policies that have limited admissions to the U.S., the International Institute of New England will welcome more than 200 refugees this year. 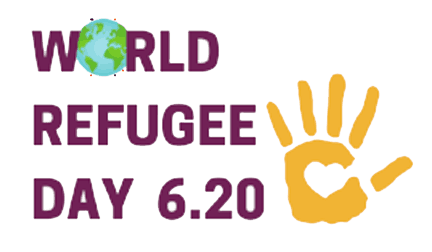 On June 20 – World Refugee Day – the global community pauses to recognize and remember the strength and courage of the 6,500 refugees we have resettled since 2007 and displaced people everywhere. In New England, we see compassionate, humanitarian help provided to refugees and immigrants every day. By the volunteer “Welcome Teams” who make beds that refugees will sleep in on their first night in America. By the staff who work alongside an English language learner struggling to make sense of a job application. By a group of corporate volunteers who spend an afternoon helping that same learner prepare for his job interview. By the advocates who help a refugee obtain her citizenship. We see these acts every day because of your support. In honor of those who made it to the U.S. and are working to make a better life for their families, in honor of those who make refugee and immigrant issues a priority, and in honor of the 22.5 million people still waiting for their futures to begin, we invite you to participate in World Refugee Month. In June, there are several ways you can help IINE and the people we serve. Come see Suitcase Stories in Boston, on World Refugee Day. Attend our Open House in Boston and learn about our plans to expand services to refugees and immigrants. Make a donation in honor of World Refugee Day, and see that donation matched by a generous gift from the Seevak Family. Participate in NH Gives, a special initiative uniting service-based non-profits in New Hampshire. Contact your local and federal legislators and policymakers and let them know that refugee and immigrant issues are important to you.